Sedona Sacred Light Institute is a center for Psychic & Intuitive Development, Meditation, and Spiritual Awakening. Psychic & Spiritual Readings /Intuitive & Spiritual Guidance / Life Path Readings. Emotional Healing / Self-Empowerment / Connecting to Your Spirit Guides / Past Life Readings / Past Life Regression. This home study course will allow you to develop your intuitive and psychic abilities at your own pace. This is the same course I offer in my in-person two day training. Available on DVD, download or online video. 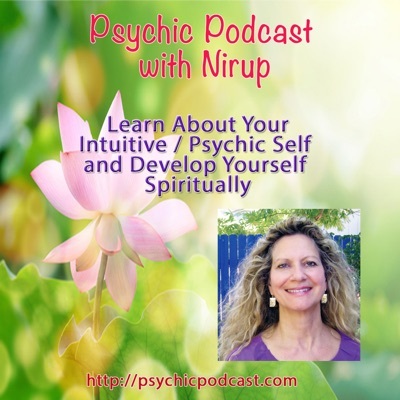 Nirup is a professional psychic. She trained in India for seven years in psychic and spiritual development, meditation and energy healing. She offers various types of sessions for direction, clarity and insight into your life. Join me in Sedona AZ, surrounding yourself with the vortex energies of the Red Rocks. Learning in a group setting can help to accelerate and deepen your personal and spiritual growth. Make new friends for a lifetime. I offer individual or small group Personal and Spiritual/Psychic trainings that are customized to meet your needs and time schedule. Half-day to three-day trainings available. Call for a free consultation to create your training. Are you ready to use your intuitive psychic abilities? Would you like to find inner peace through meditation? Do you wish to know your true purpose in life? Find out which spiritual path is right for you! Learn how to communicate with your guides! Book a Private Appointment for your personal transformational experience. Gain powerful techniques to open your psychic intuitive centers. Learn to connect and listen to your body’s wisdom and let it guide you in having a vibrant healthy life. Learn to use your intuition and psychic abilities to help you make better decisions. Learn how to love yourself more fully and create the right relationships. Learn how to clear your mental and emotional bodies so your psychic gifts can surface. Experience healing meditations to open your heart, find inner silence and control stress. Discover your “spiritual side” and gain a greater connection with God/Source. Learn tools to read the chakras, auric field, and energy bodies, thereby understanding their functions. At Sedona Sacred Light Institute, I have created a sanctuary where you will learn to awaken your intuitive psychic abilities and connect to your spiritual wisdom in a safe, supportive and nurturing environment. Since 1991 I have been teaching and guiding others to heal their lives, awaken to their divine gifts and fulfill their life’s purpose. I am passionate about sharing my wisdom and knowledge with you. My trainings are designed to support your individual spiritual needs, develop inner knowledge, reconnect with your Divine Self to create power, joy and passion in your life. Sedona’s powerful healing energies have also supported me in helping others to awaken to their spiritual gifts, higher selves, and to gain clarity and direction in their lives. I provide intuitive training programs as well as personal healing sessions, psychic readings, past life regressions, soul readings, and spiritual counseling. Sedona Sacred Light Institute is located in beautiful, Magical Sedona Arizona, the land of the Red Rocks and Healing Vortex Energies. Join me to have your spiritual experience and come closer to God in Sedona.